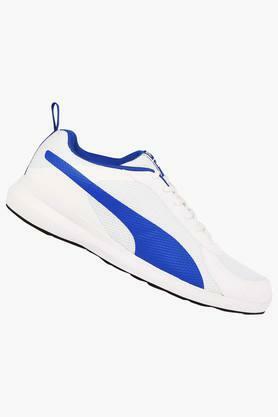 Keep your feet comfortable while you go for a workout session by wearing this pair of sports shoes from Puma. 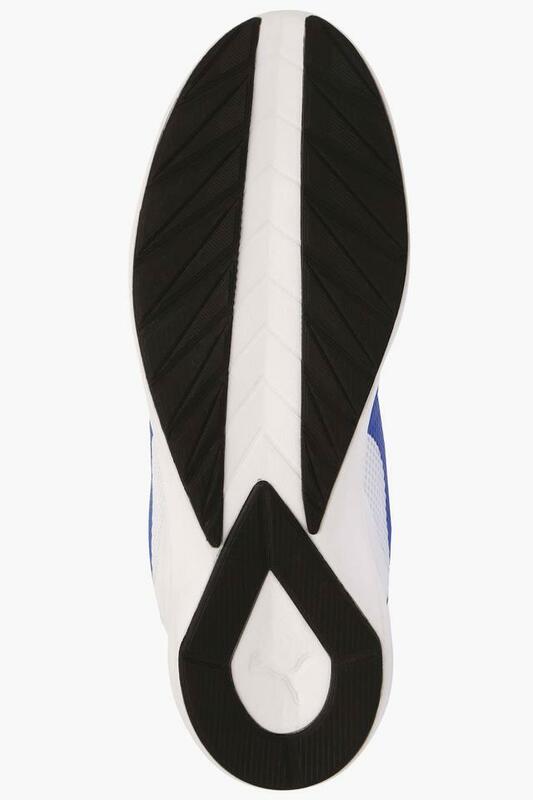 Featuring an ethylene vinyl acetate sole, it will provide you with a proper grip. 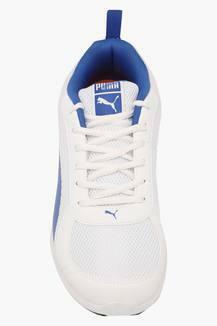 Furthermore, its upper part is made of fine quality mesh material, which lends it a refined finish. This pair of sports shoes is made of mesh material that makes it easy to maintain. 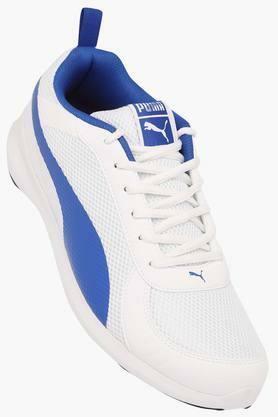 You can team it with a pair of track pants and a T-Shirt to look smart when you go for a workout session.